Poor - or non-existent - service delivery is one of the most pressing problems facing residents in the City of Johannesburg. Some have taken to the streets in protest against this state of affairs, some continue with the thankless task of trying to have their problems resolved through official channels, and some have simply lost faith in the system. Whatever the situation, service delivery is a frequent - and heated - topic of conversation around dinner tables, on the streets, in informal settlements, and over garden walls. Most residents, from Diepsloot and Midrand in the north to Lenasia and Orange Farm in the south, and from Roodepoort in the west to Alexandra and Kensington in the east, are deeply frustrated, and feel disempowered by an inefficient, uncaring and unaccountable local administration. What, they plead, is to be done? 1. Log your compliant with Joburg Connect on 011 375 5555 and obtain a reference number (don't laugh - this is the correct first step, and we feel it's important to respect that). 2. If your complaint hasn't been dealt with within 24-48 hours, follow and up and find out what the status is. Keep a record of all complaints and follow-up calls, including dates, times and reference numbers. 3. If that doesn't get you anywhere, refer the problem to your local residents' association (see a full list here). 4. If the association's valiant efforts to help you don't get any results, contact your local ward councillor (click here to find out which ward you fall under and who your councillor is). 5. If that doesn't work (and it's been known to happen ...), report the problem to the new toll-free Presidential Hotline on 17737 (if you're angry enough or the situation is urgent enough, skip steps 3 & 4 and call the hotline straight away). 6. If all else fails, you have two other options: (a) take up the matter with the Minister of Cooperative Development and Traditional Affairs, who is tasked with handling service delivery problems at local level, or (b) withhold the payment of rates for poor service delivery. Firstly, the office of Sicelo Shiceka, the Minister of Cooperative Development and Traditional Affairs, can be reached on 012 326 4478. Letters can also be addressed to the Minister at Private Bag X802, Pretoria, 0001 (unfortunately, despite our best efforts, we haven't been able to obtain an e-mail address). 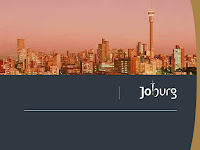 The Joburg Advocacy Group wrote to President Zuma about the state of service delivery in Johannesburg earlier this year, and that letter has been referred on to the Minister for his attention (click here to read the letter, but please note that the Joburg Rates Boycott campaign mentioned in the text has since been suspended). Secondly, ratepayers have the legal option of withholding the payment of rates in the case of poor service delivery. This is currently being done in 22 municipalities across the country, mostly by residents' associations affiliated to the National Taxpayers' Union (see the list of towns currently in dispute with municipalities here). The NTU, which represents rates action groups in over 300 municipalities, has a wealth of experience in handling campaigns to withhold rates, and offers all sorts of support for participants. So, how does a rates campaign work? The option of withholding rates is one that is available to all ratepayers in the case of the non-delivery of services. The legal principle that allows for this is CONTRACTUS NON ADEMPLETI and, in common law, this allows for one party to a contract to withhold payment if the other party does not deliver goods or services as contracted. And, as we've already mentioned, residents in 22 municipalities across the country are withholding the payment of rates on this basis. This kind of action is best done as a group, not only for the sake of impact, but to protect participants from retaliation and/or frivolous legal action on the part of the city. So, if this is a course of action you'd like to consider, either form a community group yourself or join your local residents' association. If you are a paid up member of a ratepayers' association, residents' association or community group that, as a group, chooses to become a member of the NTU, and if each household pays a membership fee of R20 per annum, the NTU will offer free advice and counsel in the case of legal action related to the legitimate withholding of rates for the non-delivery of services. We believe rates campaigns can be very effective, especially as a means of setting legal precedent, but experience has taught us that they are best undertaken and managed at suburb level rather than at city level. This is because an action like this benefits from the infrastructure already established by residents' associations and, more importantly, residents feel they have more control over the action if it is initiated and managed locally. That said, we're deeply concerned about how divisive the service delivery issue is, and especially about how divisions often develop along racial lines. For that reason, more than any other, we suggest that frustrated residents use the Presidential Hotline or contact the Minister of Cooperative Development as a first measure before considering a rates action. On our part , the Joburg Advocacy group will continue to follow up the issue with Minister Shiceka, and we'll report back on our progress here. But, if you want to get service delivery sorted, you have to get involved too. We need to work together to build a safe, peaceful, efficient and effective urban community, and that's only going to happen if residents and local government work together.